Lester from Bev Sykes on Vimeo. The religious right is all busy going after homosexuals, who really pose no direct threat to the life of non-homosexual people. Where are they in protest against a growing disturbing acceptance of cannibalism? Have you watched those chocolate chip cookie commercials where this happy Chips Ahoy cookie is singing and happy to be so chock full of chocolate chips and suddenly he just...disappears. The sound of a crunch is heard in the background. Someone has eaten the cookie. Eaten the star of the commercial. Look at the look of sheer terror on the face of that poor innocent cookie! One of the commercials shows the happy cookie stepping out of the Gale farmhouse (from Wizard of Oz) into the beauty of Oz, yellow brick road and all. He barely has time to get out "Toto, I don't think...." before he's whisked off to someone's mouth. I tell you it's enough to turn the blood cold in your veins. Try explaining that to your kids! But it doesn't stop there. In fact, it started years ago. 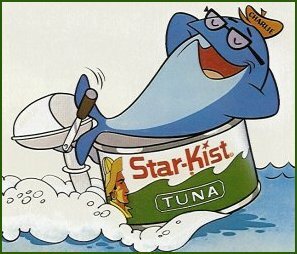 Remember Charlie the Tuna trying so desperately to be a Starkist selection? And what happens to tunas who are selected by Starkist? They don't end up in an aquarium somewhere, you know. What about those junk food-eating chickens who are trying to desperately to be Foster Farms chickens? They are trying everything possible, including, lately, plumping with water to make them look fatter. If they ever make it, you know they're going to end up on somebody's dinner plate. You know that as soon as those guys are finished singing they are going into some kid's mouth. How about Kellogg's Frosted Mini Wheats, the cute little guys that march off to school with little kids and help them learn all day long. Well, why are the kids learning so well? Because they've eaten some of their cute little brothers and sisters. Shocking. The only ones who seem to have any sense are M&Ms, shown, in the latest commercial, as running frantically trying to get away from the supermarket checker who eventually puts them in a bag to take home. As one M&M points out they are on the menu for the party. Seriously, folks, this is a growing menace and we must protect our children. I speak out for the clueless "cute" foods who are too stupid to realize that their anthropomorphizing can only lead to one thing: ending up in someone's stomach. I realized this week that the saddest words in a TV addict's vocabulary are "season finale." I've been watching the season finales this week, Lost last night, Grey's Anatomy tonight and others along the way -- Amazing Race, House, Survivor coming up this week, I think. I just got hooked on The Ladies' No. 1 Detective Agency and HBO is already airing the season finale this week. "Season Finale" means only one thing: No more new episodes until next season, whenever that begins. It just seems that "seasons" are getting shorter and shorter. The summer shows are rarely up to the quality of the show they are replacing. How in the world can the truly stupid Wipeout ever compete with Lost? They're taking away Lost and giving us what amounts of a latter day Beat the Clock. 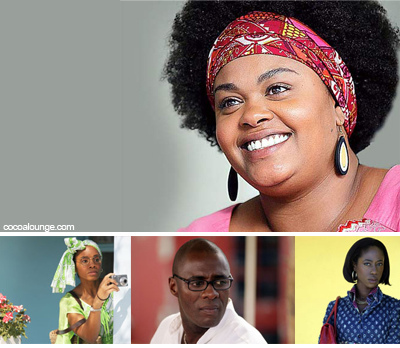 Lord knows what will be the summer replacement for Grey's Anatomy. Thank God for reruns. You can watch Law and Order, House, and a bunch of other shows indefinitely, if you need a fix. The Ladies' No. 1 Detective Agency -- great show!